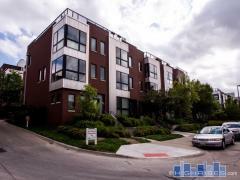 Giovanna Rows Townhomes are located in the Little Italy neighborhood of Omaha. There are 16 units at Giovanna Rows which feature private garages, roof decks, and laundry hook-ups. Have any comments or questions about Giovanna Rows Townhomes? Ask your question and/or share your thoughts about this Building. Interested in purchasing a townhome in Little Italy . Prefer 2 car garage.